The ageing game: Could we all be 95-year-old athletes? People in rich countries are getting older. But is a longer life always a better life? In the first of a series about the ageing population, Smitha Mundasad looks at whether we can influence the rate at which we age. At 95 years old, Olga Kotelko could be forgiven for sitting on the sidelines as people 60 years her junior jump over poles and hurl javelins into the distance. But this sprightly 5ft-tall Canadian joins in - in a big way. This year she became the oldest recorded female indoor sprinter, high jumper, long jumper and triple jumper at the World Masters Athletics Championships. What's life like in a retirement village? Olga now has more than 30 world records to her name and has won more than 750 gold medals. But she says she sees herself as nothing special, describing herself as just a plain Jane. Olga took to the athletics track at the age of 77. As one of 11 siblings brought up on a farm, she has always been active - there were always cows to milk and chores to be done. She has now outlived all her siblings and most of her friends but when asked what her secret is, she says there isn't one. "I think your age is just a number. It's not your birthday, it's how you age which makes the difference. "It's your attitude to all the things that happen in your life that plays the biggest part." So is it really in our gift to transform ourselves into nonagenarian superheroes? Or are we much more likely to face a grim process of decline and decay? For people living in wealthy countries, there is some cheering news. Data from Newcastle University suggests that as every 24 hours pass, on average we add an extra five hours to our lives - that's over 2 months each year and at least two years more per decade - due partly to improving living conditions and medical advances. And in the UK the number of people who are living into their 100th year has nearly quadrupled since the 1980s, meaning nearly one in five people in the UK will now live to see their 100th birthday. So ageing is not an immovable beast - at least to some extent. While Olga's genes might help her, we are not all prisoner to our own. Research increasingly suggests that for most of us the genetic hand we are dealt at birth account for only a quarter of what determines how long we live. This means 75% of our later lives could be down to the lifestyle we choose to lead. And while the well-known prescription of a good diet and regular exercise is key - there are other less well-known things that help people to live healthier lives in old age. By the age of 10 many of us will have heard a greater range of sounds than we will ever hear again. From the moment we are born, the hair cells in our ears start to die. Those that register high frequencies are first to go. After age of 30 the average person’s maximum attainable heart rate declines by about one beat per minute, per year, and the heart’s peak capacity to pump blood drifts down by 5-10% per decade. We detect odours less well as we age because the lining of the nose becomes thinner and drier and the nerve endings in the nose deteriorate. This can make food taste less good too. Not all thinking cells decline with age. Many older people retain or improve certain types of memory, such as for general knowledge or vocabulary. But thinking quickly and jumping from one task to another do not hold up as well. In later life be prepared to know more than younger people, but not be as fast at working it out. By 80, many people will have shrunk by about 3cm (1.2ins). 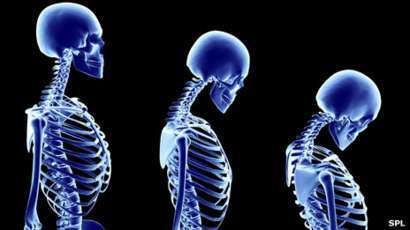 From the age of 35 our bones gradually start to become less dense and the discs or gel-like cushions between the bones of the spine compress over time. This means we shrink through life. One of the few advantages of aged skin is that although wounds heal more slowly, they heal with better-looking scars. Younger skin tends to heal faster but at the expense of cosmetic appearance. The mass of testicular tissue decreases with age and the tube that carries sperm becomes less elastic. While the volume of fluid carrying sperm remains the same as men get older, there are fewer living sperm within it. As we get older we gradually lose the fatty pad that cushions the heel of the foot and feet tend to spread - so they can appear bigger the older you get. Dr Lynne Corner of Newcastle University says while getting chronologically older is inevitable, declining with age doesn't have to be. "The truth is there is no simple way or single answer to ageing well. It really is a complex combination of lifestyle factors and of course good diet and exercise." Scientists hope to find more clues to the elixir of long life by closely observing Japan. With the highest proportion of elderly citizens in the world, the country is often held up as the poster boy of healthy ageing. "Broadly speaking unpicking the Japanese lifestyle - a diet with plenty of fish and vegetables, a focus on yoga and other strengthening exercises, less smoking and drinking than the Western world - seems to do the trick," Prof Corner says. It is also becoming increasingly obvious that the younger you are when you take on this healthy life, the better your odds in later years. But there are other things that work too. Dr Carol Holland, director of Aston University's research centre for healthy ageing, says one of the most surprising findings in recent years is that time spent with friends has a huge impact on ageing well. 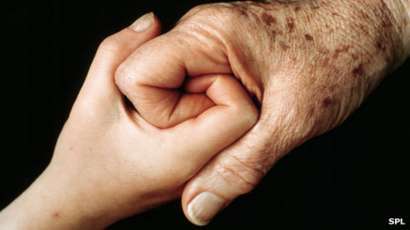 And nurturing friendships in mid-life may offer some protection against frailty in old age. Dr Holland says: "More and more research on ageing shows the more friends you have when you are 50-60 years old, the less likely you are to be isolated in later life. And the less isolated you are, the less likely you are to be frail as the years go by. " And one of England's largest studies on ageing found that people who were socially isolated were less likely to survive over a period of seven years than those with good social networks. There may be many reasons behind this - friends may notice warning signs of ill health and persuade their companions to seek help. And the simple act of being sociable may involve people in more activity-based pursuits than those who have no social contacts. But Prof Andrew Steptoe of University College London who was involved in the research says there may even be a more direct relationship with the biology of the human body and isolation which we don't yet fully understand. And the type of social contact might count too. When it comes to preventing depression studies suggest time with friends matters even more than time spent with family. As Olga readily attests, just thinking differently could also have a big impact. In research from Yale University, Dr Becca Levy found older people with positive views of ageing tended to live longer than individuals with negative beliefs. Data from 9,000 people in the English Longitudinal Study of Ageing suggests that those who reported the most enjoyment of life live longer - even after accounting for health and wealth. People often fear that their memories will inevitably get worse with age, but Prof Ian Deary of Edinburgh University who has spent years studying the normal ageing brain, says that is not always the case. Some parts of our memory can get better with age - our memory banks for general knowledge and vocabulary can improve over time. Prof Deary says: "So, on average in old age, be prepared to know more than younger people, but not to be as fast in working out new stuff quickly." And Dr Corner says though many younger people tend to worry that old age is about decline and dependence research in the UK simply doesn't show that - the majority of older people are living happy, independent lives. In a recent Newcastle University study of 85-year-olds, the majority rated their health as ''good to excellent'' - despite having at least three medical conditions and taking 10 different pills a day. Prof James Goodwin, head of research at the charity Age UK, says: "This really highlights the way we think about old age is changing significantly. "Lots of people over 85 are telling us that despite their chronic conditions they are still able to see their families and friends and life is fine." 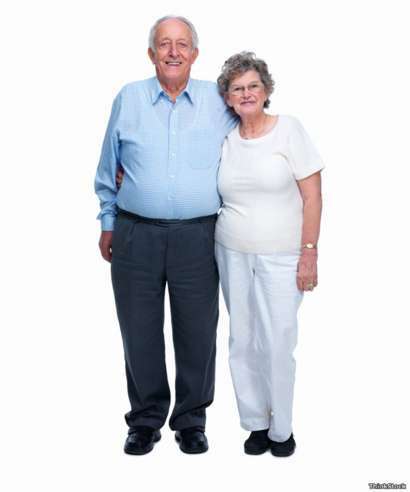 Even England's official statisticians suggest we are happiest between the ages of 65 and 80. But in Olga's tenth decade she says there's no stopping her. "There's no limit. Who says you are supposed to stop at a certain point? "I just want to keep on going until I drop. I guess that's when I'll have to stop." What are your secrets for living to a ripe old age?